We’ve got loads of different positions on offer, so there is litterally something for everyone! We’ve got from teachers to monitors to management positions to catering staff to IT specialists and Camp Drivers! If you want to see the entire list then go here. Once you’ve had a look at all of the positions and checked out the full job profiles (with wages, dates, everything!) then you need to apply online by click on the “apply online” button. This will take you to a form and ask you to quickly fill out some information about yourself and to upload your c.v.. BOOM! Once you’ve done that you have officially applied to work on one of our summer camps! Oh I know…. This is the toughest part!! Our main recruitment period is from February until the summer so if you’ve applied before then we may not be in touch until February. 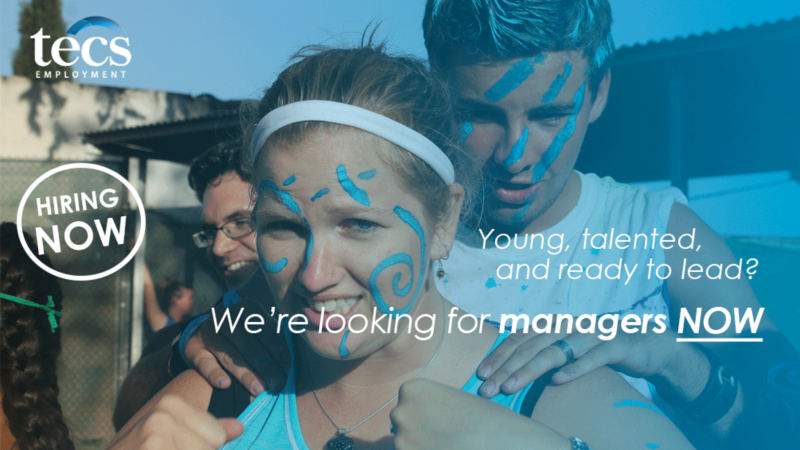 If you are applying for a management position then we may start before then. As we get so many people applying to work on our summer camps (can’t blame them!) we can’t promise to get back to everyone who applies. However, we will do our best to get back to you, but usually we can only afford to get in touch with people who we are interested in offering an interview to. Once we have reviewed your application, and we are interested in interviewing you, we will send you out an email informing you that we are interested in doing an interview via skype (or for people from Ireland we might offer you a face-to-face interview in one of the universities during our Ireland interview week – usually in March/April). You will be asked to complete a pre-interview form which will require you to complete some more questions before the interview and for you to state some days and times you can do an interview via skype. Once we have that information we will get back to you in 24-48 hours with the exact time of the interview. Read the job profile for the position your are applying for fully. Make sure you are ok with things like the dates, wage, etc. Do the pre-interview reading (certain manuals). You can go here to see what is required for you to read before your interview. You will be asked questions on this in your interview and if you haven’t done it we will re-schedule the interview. Ensure that you have a good place, computer, skype connection before the interview so that you can show yourself off in the best light! The majority of our interviews are done via skype. You will do the interview with one of our year-round team members by skype. Remember that we are based in Spain so please make sure that you are going off Spanish time (i.e. if your interview is at 13:00 Spanish time, that is 12:00 in Ireland/UK). The interview will take between 30-45 minutes for staff positions and can take 1-1,5 hours for management positions. In around March/April time Patrick will do a little tour of Ireland doing a day of interviews in UCC Cork, University of Limerick, University of Galway, Dublin City University and University College Dublin. If you are assigned to one of those interviews then just please make sure to come along to the interview 15 minutes before your assigned slot. See here for more information and dates. Usually we will get back to you in 1-2 weeks after doing the interviews about whether you are successful or not. This might be even less if we are closer to the summer! If you need to know before then, then don’t be shy in sending us an email! 6. What to do if offered a contract? Firstly, CONGRATULATIONS AND WELCOME TO THE TECS TEAM!!!!! If you are successful in getting a contract with us for this summer we will send you a contract offer email and this acts like a formal contract offer from us. This will have all of the information in it like wage, dates, position, etc. At the bottom of the email you need to click on a button to view the conditions. Once you’ve read through all of the nitty gritty conditions, and you’ve re-read the job profile, and you think ‘all good’ the just click on the “I accept” button. You will need to then put in some info like your parents names, your passport or NIE or DNI numbers, and upload a colour copy of the photo page of your passport or DNI. Once you’ve done that you’re on the team!!!! You will be given a deadline of when to upload these onto our system by. The position isn’t 100% confirmed until you’ve go all of these to us. We’ve had some not completely honest people with us in the past, so we do reserve the right of dropping a contract offer to someone if they don’t get this (especially the travel details) to us on time. We understand that Criminal Reference Checks can take a while so might need to wait a bit longer! Once you’ve done that then check out our Getting Ready for Camp page and get ready for the BEST SUMMER EVER! !